Edit - Extended until today, Tuesday, November 29, 2016! 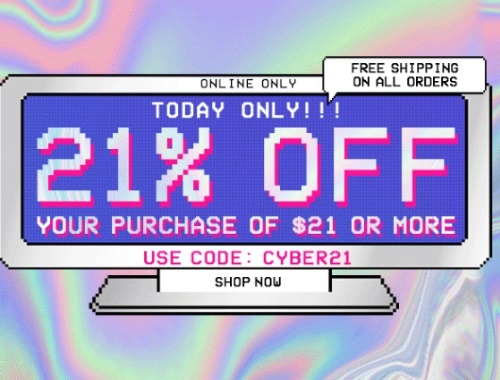 Forever 21's Cyber Monday Sale is 21% off your entire purchase of $21 or more! And also get Free Shipping on any sized order. Enter the promo code CYBER21 at checkout. Offer is valid online only. Offer is valid today only, Monday, November 28 2016.